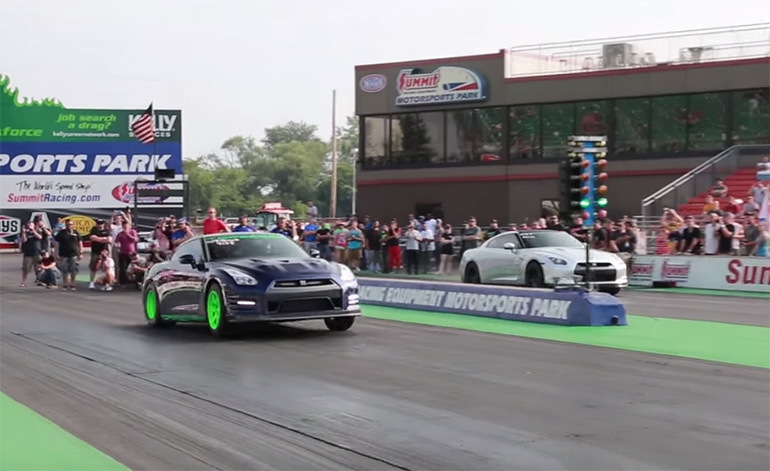 The folks at TopSpeed Motorsports are at it again with an AMS Alpha 16 Nissan GT-R tuned to unbelievable numbers – estimated at 1,600 horsepower. This time, Godzilla on steroids is “currently” the world’s fastest Alpha 16 GT-R running 7.917 seconds in the quarter mile at 179.33 mph. The Omega with 2,000 horsepower currently holds the record overall for the fastest GT-R with over 2,000 horsepower. Still, with “only” 1,600 horsepower, this Alpha 16 is ludicrous. Check it out below!